My son Evan wrote this blog on schools needing a BYOD policy. That’s my boy! It is so true! Evan raises some great points here. I like the suggestion that students could be connect remotely as well. Evans Videos and Animations: Why schools should have tablets. Disruptive Technology? Or just a fantasy? There has been much speculation on what future technologies will be used in creating the next generation of devices. As new types of materials are developed we get glimpses of what our future will look like. Everyday there are new types of technologies announced. Many of them have the possibility of being disruptive. We are innovating too. We are also coming up with new ways to leverage these new technologies as fast as they become available. This stuff gets cheaper everyday too. 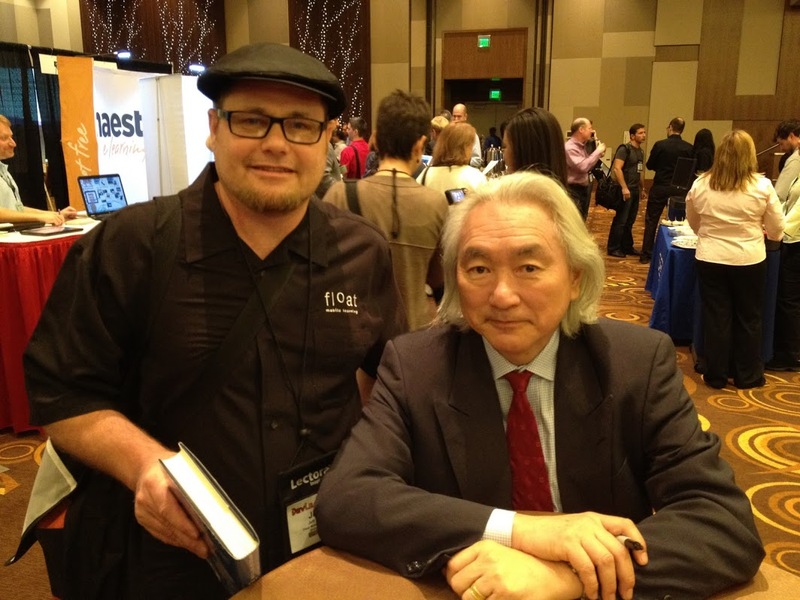 As Dr. Michio Kaku would say “in the future we will have microchips that will cost only a penny…” He is not kidding. This is based on the theory of Moore’s Law, the observation that over the history of computing hardware, the number of transistors on integrated circuits doubles approximately every two years. This exponential improvement has dramatically enhanced the impact of digital electronics and is driving the costs down at the same rate. We may not be that far away from some of the technology we have seen in movies like Minority Report, Star Trek or even The Jetsons. OK now I am dating myself. It’s not just the technology that is changing, the way we interact with our devices is changing as well. Let’s look at mobile devices for an example. No more mouse – we gesture or in the case of 3D Leap Motion we use 3D gesture technology. Of course we can’t forget Siri or products like Dragon Speak for using our voice to interact with these devices. Voice interactions will continue to get better and better. Everything is getting smarter too. We are now creating software that anticipates our needs and offers us options. This can be based on our browsing habits, content we interact with and of course our user profiles. The possibilities are endless or as Napoleon Hill once said “whatever the mind can conceive the mind can achieve”. One thing is for sure – innovation and creativity are driving us forward and it is disrupting how we live today. What if we learn to embrace it and leverage it to solve the problems around us? Let’s not make it all about money or greed. Let’s use this evolution as a vehicle to a higher consciousness. I leave you with this inspirational video. A Day Made of Glass part of a series of videos by Dow Corning.